St. Francis Center Makes the News! 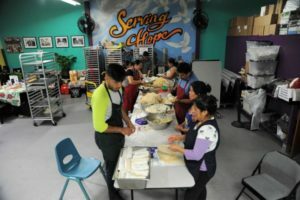 Check out KQED’s feature on TOP TAMALE on the California Report, featuring TOP Tamale chef, Lucila Velázquez, and Development Director, Marianne Kulikov! It’s a new year – come volunteer!